Could run up to 31 MPH—same as a rhino! 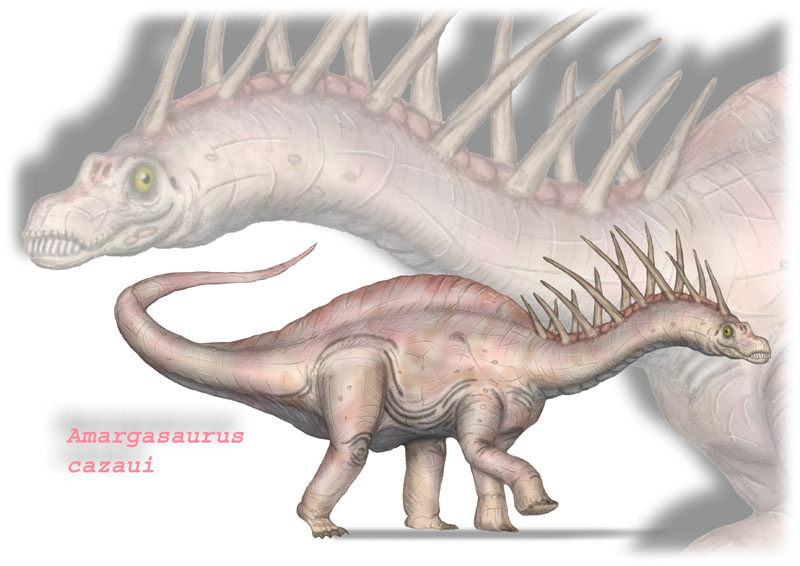 Amargasaurus is a dinosaur which lived approximately 130 million years ago during the early Cretaceous Period. 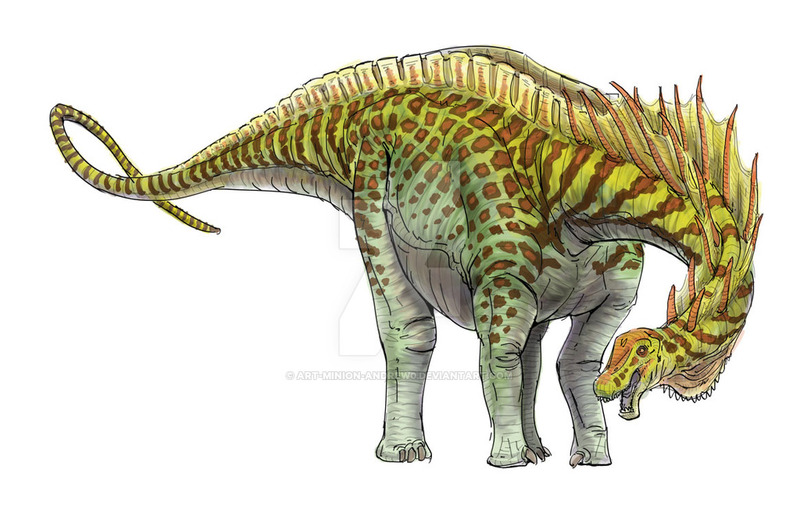 An interesting fact about Amargasaurus is that its name means “La Amarga lizard”; a name it was given because it was first discovered in La Amarga Arroyo, Argentina. Its fossils were first discovered in 1991 by José and Salgado Bonaparte. In Spanish La Amarga means “bitter creek”, so in essence the name of this dinosaur means ‘bitter creek lizard’. This dinosaur was approximately 30-35 feet long and weighed around 5 tons. It had a 7 foot long neck and walked on all four legs. 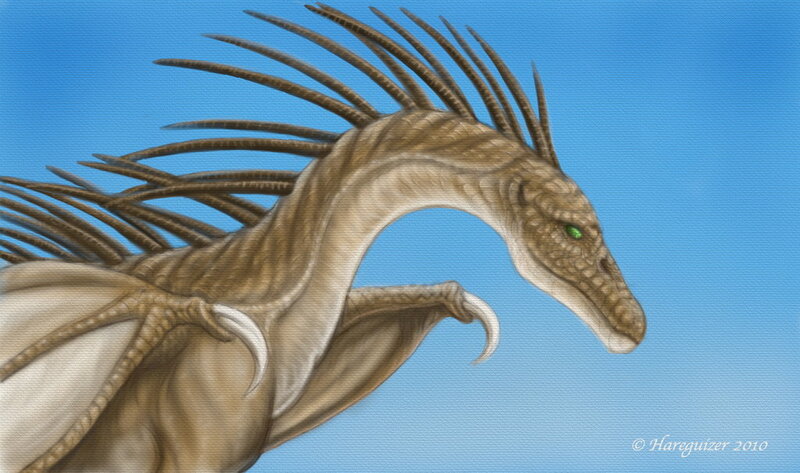 For protection, it had two rows of spines that grew out of its neck, back and tail. Some paleontologists have postulated that this dinosaur may have actually had a sail that grew out of its back. If it did, then it would have been used to make the dinosaur look better, for regulation of body temperature or maybe even used for mating rituals. This dinosaur was a sauropod like Brontosaurus, Apatosaurus and Brachiosaurus. 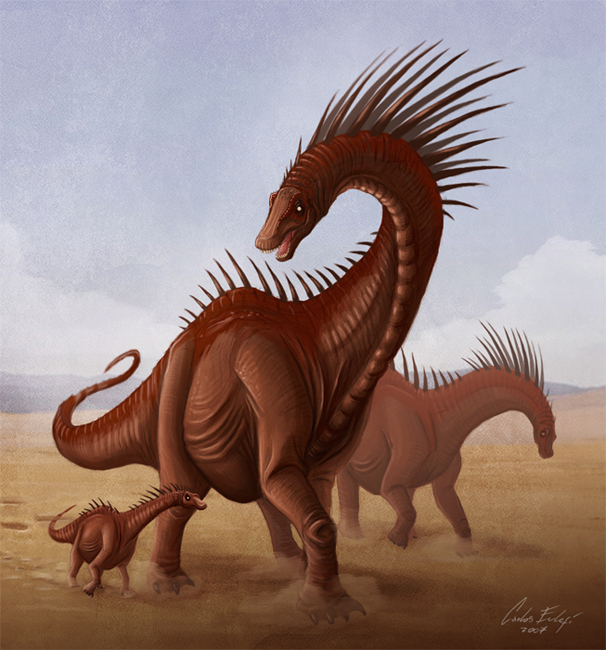 However, although it belongs to this family of dinosaurs, it is one of the smallest dinosaurs in this group. It was half the length and a third of the weight of the Brontosaurus, and was almost a third of the size and more than half the weight of Brachiosaurus. 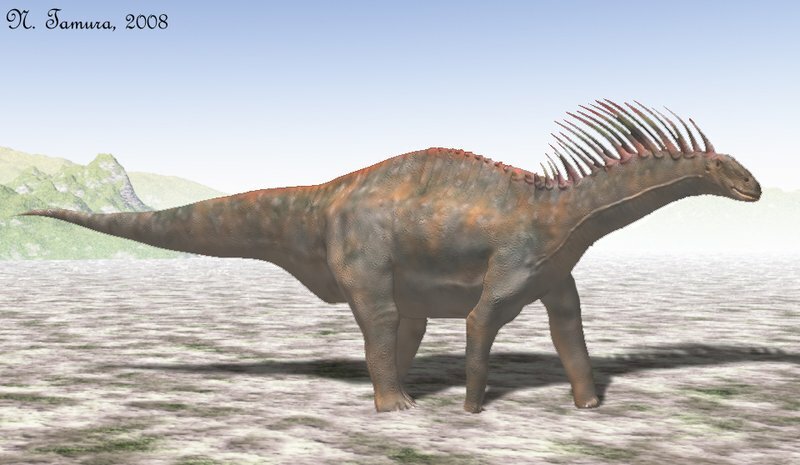 Since Amargasaurus is a sauropod it was most likely an herbivore. It probably lived off of a diet of seed ferns, gingkos, club mosses and cycads. Since this dinosaur didn’t have teeth, then it probably had to swallow all of this plant material whole. Therefore, it has been postulated by paleontologists that this dinosaur may have swallowed stones that helped grind this plant material in its stomach, aiding in digestion. Paleontologists also believe that these dinosaurs may have traveled in herds. This would have protected individual animals in the herd from predators. It has also been theorized that these dinosaurs had eggs in clutches and may have even taken care of them like modern birds do.